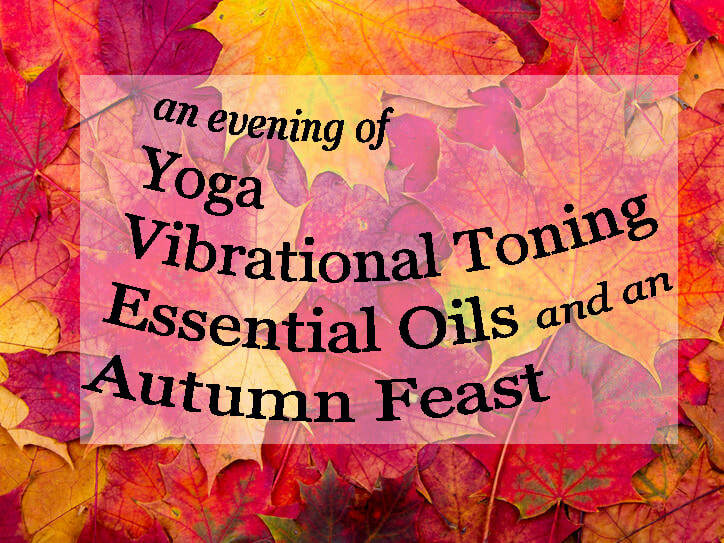 "Letting Go: An Autumn Workshop"
Payments by Venmo by 10/17 to "@Mara-Stephens"
This 2-hour event includes Yoga and Movement, Vibrational Toning (using our voices), Essential Oils, and a Nutritional Feast, hosted by Leslie Helpert and Mara Stephens! Longtime holistic educator, yoga teacher and voice therapist Leslie Helpert joins forces with integrative nutritionist, interpreter and wellness practitioner Mara Stephens to offer this Friday evening workshop focusing on the Yoga of Vibration. Helpert's work guides us to reframe the role of the voice, exploring the power of feeling vibration in the body by creating tone to facilitate energy release. Using the voice as a "listening light" to help illuminate the sensations of the interior body supports easeful breath, balance, stability, and core strength. In combination with an all-levels yoga practice, we'll collectively access the power of our senses together. Our evening together will be complete with aromatherapy and the finishing delight of a shared tapas of tastes, made exclusively for the evening by chef Mara. ​The two-hour workshop will include one hour of practice time, beginning with a group discussion and general overview of the work and a closing circle with collective sharing, followed by a sumptuous palette of nutritional delights. The workshop's title is inspired by the practice of accessing the voice via vibration to release stagnation, and the art of "letting go", aptly timed for the season of fall. Mara Stephens interpreter, yogi and wellness practitioner. She studied at The Natural Gourmet Cookery school, Lighthouse Yoga School (RYT 200 hour - January 2019) The Sign Language Center and LaGuardia Educational Interpreting Program. She cannot imagine her life without the Deaf community or American Sign Language. She is grateful and honored to be a part of this amazing community every single day.